This in line fuel shut off valve from Peterson Fluid Systems pushes on to your rubber hose. 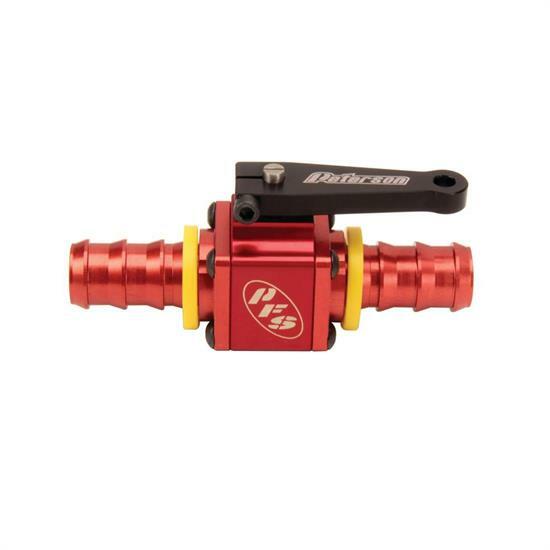 It comes with a red anodized finish and is sold individually. Dimension (LxWxH): 4.6" x 4.8" x 1.6"